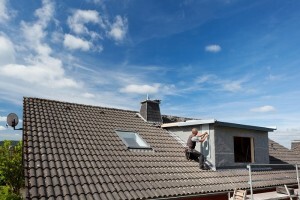 Do you require the services of a professional and reliable roofing expert? If so, you should talk to ProRoofing as we are the best roofing contractor Dorset has seen. Whether your roof has been damaged or needs replacing, call our team for a FREE consultation and quotation. If you’re in need of a company that boasts a diverse set of skills, our Dorset roofing contractor is for you. When it comes to being the most exceptional roofing contractor Dorset has experienced, no company comes close to what ProRoofing has to offer. You must never underestimate the importance of a well-designed roof that is kept fully maintained. Aside from keeping your home warm and dry, it will also save you money and keep your family safe. At ProRoofing, a roofing contractor in Dorset supplied by us will supply you with peace of mind from start-to-finish. What can our Dorset roofing contractor do for you? Either through time or the damaging effects of bad weather, your roof can become worn or heavily damaged. When this happens, one call to our roofing contractor in Dorset is all it takes to put everything right again. We first carry out a full structural survey of your roof which will highlight any work that needs carrying out. From there we will supply you with a full quote for the cost of any repairs or refurbishment services. From chimney repairs and removal to lead work, plain and interlocking tiles. A Dorset roofing contractor supplied by ProRoofing will see to it that the work is completed in a timely fashion. Our customers choose us as their go-to roofing contractor in Dorset as they recognise our many years of experience in providing similar services to other clients. When it comes to being unreliable, flat roofs are among the worst culprits. This is due to the way in which the felt that covers them becomes brittle with time, causing it to crack. This allows leaking to occur as the roof is no longer water-tight. At ProRoofing, our roofing contractor Dorset team provide two cutting-edge solutions that will work wonders for your flat roof. Firstly, we can cover your roof in a fibreglass outer layer. This seamless and joint-free solution helps keep out wind and rainwater and can be fitted in a wide range of colours. Fibreglass GRP is a highly durable product that can be applied to any roof of any shape or size and will last for around 50 years or more. The second option provided by our Dorset roofing contractor is the Kemper roofing system. The Kemperol reinforced resin waterproofing membrane used in this system provides unrivalled protection when it comes to keeping out water. It is relatively straightforward to install and can be found on many well-known buildings such as the Empire State building in New York. To find out more about our flat roofs service, click here. Lead has been used for many centuries and can be found on most historical buildings due to its highly durable nature. When applied correctly, lead roofs will typically last for many decades before needing to be replaced. However, should your roof start to wear out, give our roofing contractor Dorset experts a call as we can help. We will carefully assess the state of your lead roof and supply you with our honest recommendations. From covering an entire stretch of roof to strengthening a key area such as the roof joints. Our roofing contractor in Dorset will shore up your roof and improve your roof’s performance and lifespan. Should the condition of your roof be worse than a few tears and splits, ProRoofing can supply you with a complete leadwork renewal service. In addition to lead and flat roofs, we also provide competitive services for properties that feature pitched roofs as well. To find out more about what our Dorset roofing contractor can do for you, or if you have any questions, do not hesitate to get in touch. Why choose our roofing contractor Dorset professionals? If your roof is causing you concern and you’re looking for added peace of mind, pick up the phone and call our roofing contractor in Dorset. 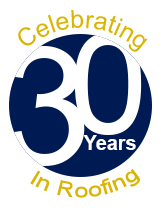 With more than 30 years of experience to our name, ProRoofing are a name that you can trust. Our highly skilled and dedicated team are committed to providing our customers with a high standard of excellence throughout. From roof repair to new installations, you won’t find a more competitive service anywhere else. We take pride in our workmanship and always strive to go the extra distance to ensure that our Dorset roofing contractor provides the finest service around. It is this commitment to what we do that has earned us a stellar reputation among our client base. We are chosen by many not only for our reliability but also for the excellent customer service that we deliver. So, what are you waiting for? Discover what makes ProRoofing the most outstanding roofing contractor Dorset has to offer by calling us today on 01202 518763.